jojoebi designs: Is your computer about to burst to photo overload? Is your computer about to burst to photo overload? Since we had Ebi-kun I have made a new photo book each year, picking out the best photos of the year. I usually do this in August so the books run in line with his birthday. This year I didn't get round to it - bad mommy! BUT on the upside, the company I use Blurb, have a 15% discount until November 21st, that gives me a kick up the bum I need to get this years book put together. 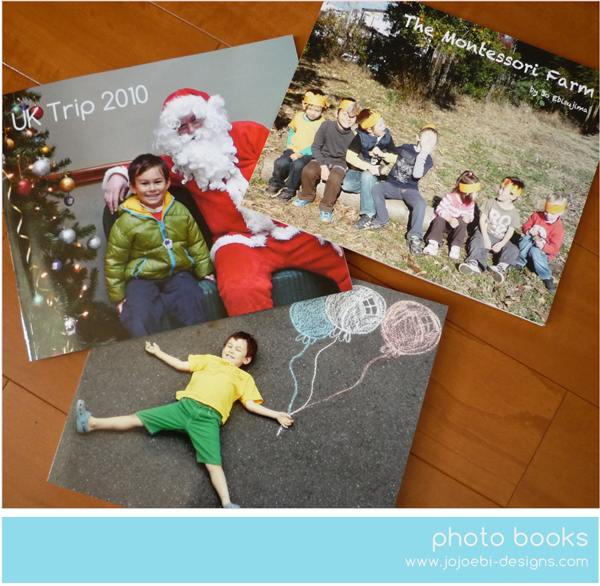 In the past I have done photo books for grandparents Christmas present too and of course our trips overseas. I love Blurb and have used them for several books including Ebi-kuns portfolio books, I have tried other companies but Blurb always come out top. The software is super easy to use and if you haven't got time to lay it out yourself there is an automatic function that does it for you! I have my eye on the Instagram books too and I could do with my own personalised recipe book... so much you can do with digital photos these days. Anyway, if you want to get the 15% discount you need to click here and use the discount code FALLTHANKS when you check out. Thanks for the kick up the bum. I have one book that I've been (not) working on since 2011! I could actually get it done!! I think is a great idea, what about the shipping, is not too expensive? I think it is on a par with other places, not too bad, I usually just pick the cheapest option, which takes longer. From what I remember it depends on the size and amount of books you order. I think they have shipping info on the front page to give to an estimate.